Victims of the oil slicks. Three gannets, normally a dazzling white, that were rescued from the sea after the tanker Torrey Canyon, laden with 120,000 tons of crude oil, ran aground on the Seven Stones reef, 20 miles off Land's End. 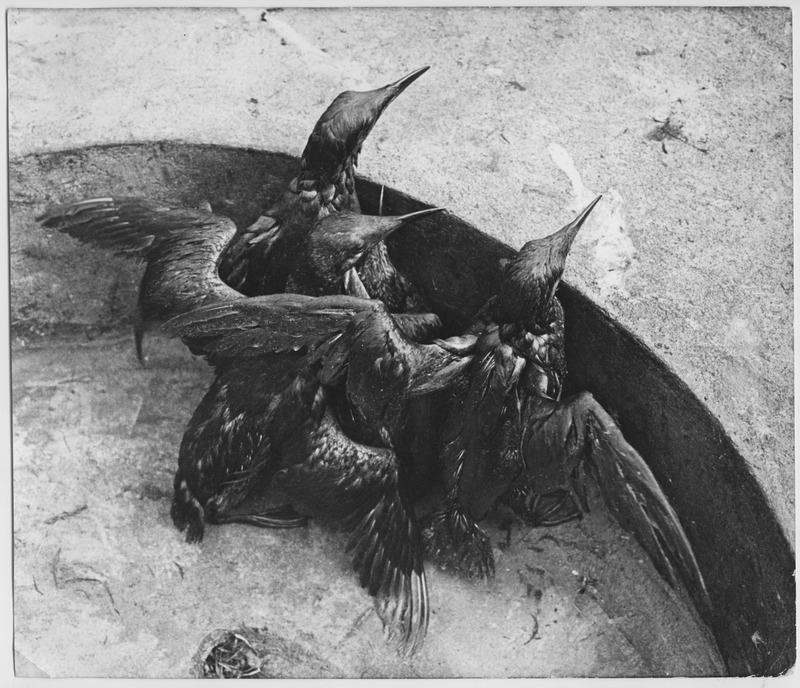 Serena Wadham , “Oiled Gannets rescued from the sea after the Torrey Canyon disaster 20 miles off Land's End, March 1967,” Morrab Library Photographic Archive, accessed April 19, 2019, http://photoarchive.morrablibrary.org.uk/items/show/14893.